Samsung has officially teased its upcoming Galaxy M series on its microsite, hinting that it will come with impressive features for its price point. 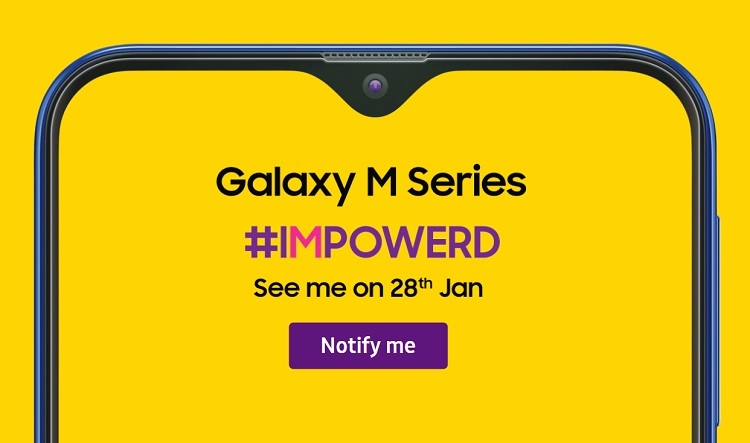 The teaser photo confirmed that the Galaxy M Series will be launched on January 28, while it was accompanied by its tagline #IMPOWERD suggesting that the device will be backed with competitive specs that can battle out its rivals. Meanwhile, the teaser also showed that the handset will feature an Infinity-V display, which is very identical to OPPO’s waterdrop notch. Obviously, the notch houses its front camera, and earpiece. Samsung claimed that it will be loaded with a powerful processor that will elevate your game. With this, rumors suggest that the Galaxy M20 will pack an Exynos 7885 chipset, while the Galaxy M10 will carry an Exynos 7870 SoC and 3GB of RAM. Jumping off to its photography department, the series will sport a dual-rear camera setup with an ultra-wide feature that is similar to last year’s Galaxy A series. Samsung Galaxy M Series to Boast a Huge Battery? Other notable features include its 3.5mm headphone jack, USB-C port, and its whopping battery with up to 3x fast charging. 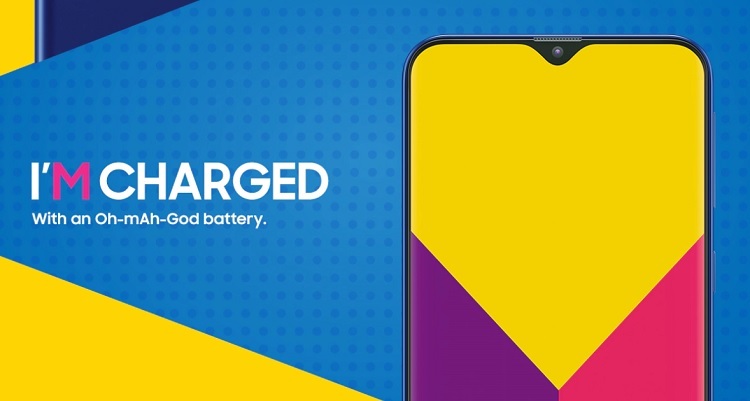 The Galaxy M series is said to come with three models including the Galaxy M30, Galaxy M20, and Galaxy M10. Its asking price is expected to start at INR 10,000 or roughly at Php7.4K. Who’s excited? Let us know what you think!